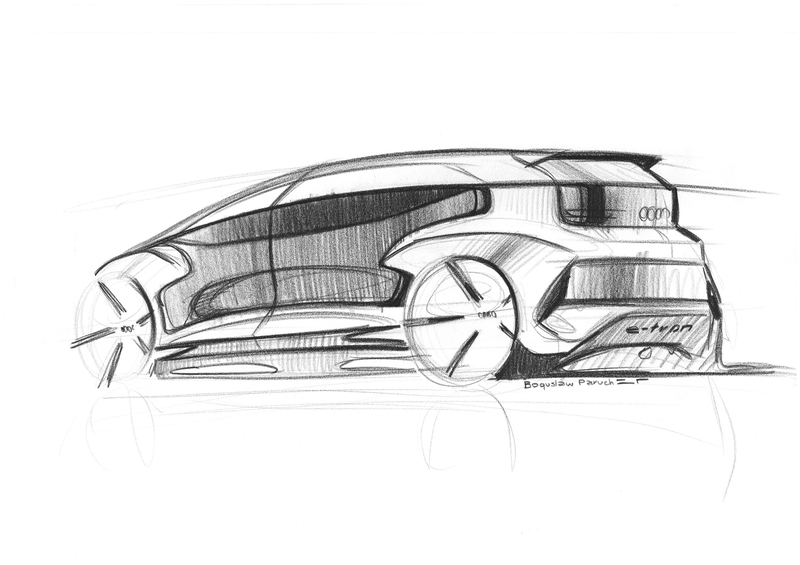 The Shanghai Auto Show is almost here and Audi is going to be making a big splash there. The four-ringed brand is going to be showing off an autonomous driving concept called the Audi AI:me and it’s essentially a design study for an urban compact car designed for megacity-life. Typically, the idea of a megacity is sort of dystopian in nature, with sci-fi movies like Blade Runner making such megacities seem quite bleak. However, Audi is looking to show off a concept car that can make like in crowded megacities of the future quite nice and it’s the Audi AI:me. 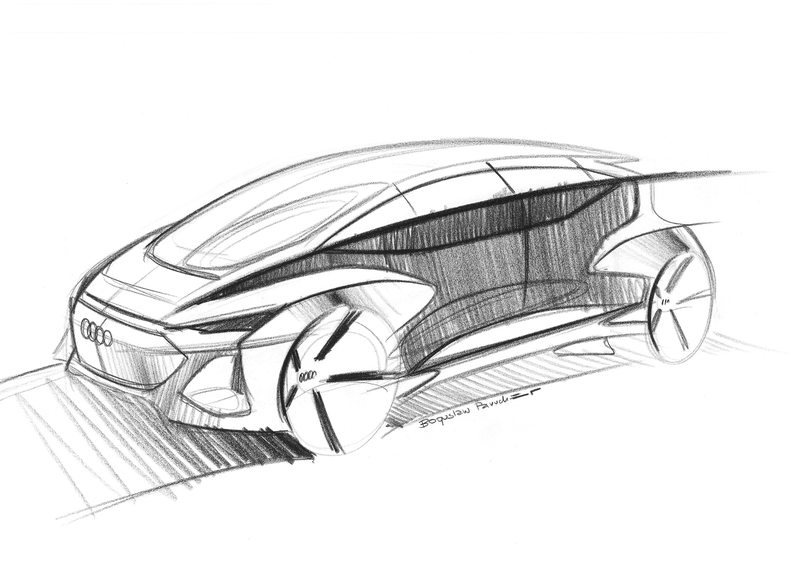 While Audi has only released design sketches of the AI:me, it’s clear that its design is borrowed heavily from the Audi Aicon concept, which was a fully-autonomous concept itself. It’s similar in shape and style to the Aicon, although the Audi AI:me seems quite a bit smaller. On the inside, it will still have a steering wheel, so it won’t only be autonomous and will still feature hands-on driving. Which is a good thing. But the idea is to have a car that can drive itself through the cramped city driving that the future might hold in store, the sort of driving no one wants to actually do themselves. The dash layout is very screen-focused. 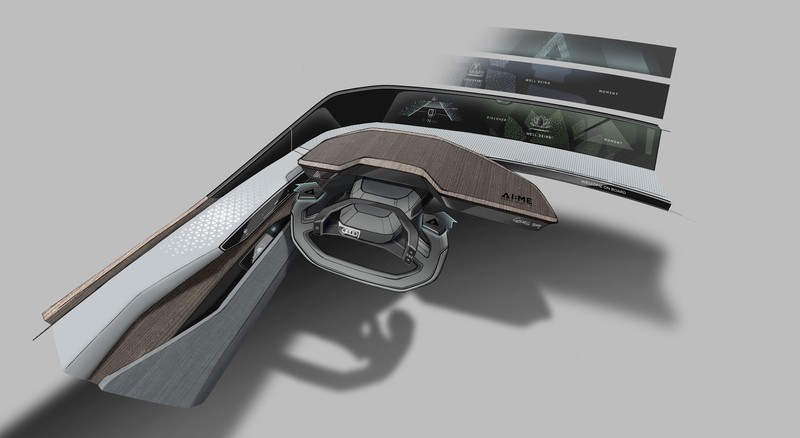 It seems as if a sort of wrap-around screen will be featured on the dash, likely allowing both front passengers to interact with it. It will also likely feature a lot of personalization, so different passengers can have it tailored to them. That latter bit will be important for car-sharing, where the car will be used by multiple different people. As car enthusiasts, this is the sort of future we don’t like to hear about, the sort where all cars are just autonomous jelly beans with no fun or soul. Electric cars have proven to be thrilling, so we completely welcome the idea of alternative fuel. But autonomy is not something we’re looking forward to. We want more of the Audi PB18 e-tron and less of the Audi AI:me. Can an Audi TTS keep up with a Porsche 718 Cayman and Alpine A110?